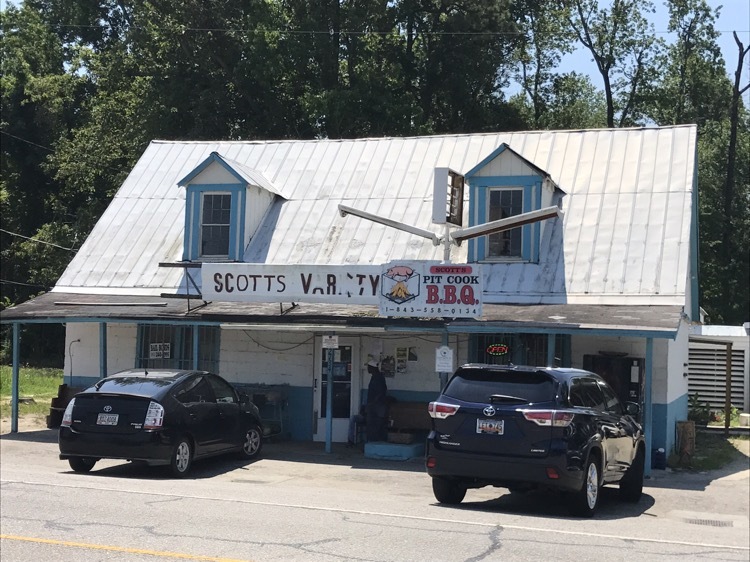 For the last eight years, I’ve been wanting to eat barbecue at Scott’s Variety. But it is slap dab in the middle of nowhere – 80 miles north of Charleston and 100 miles east of Columbia. Not to mention more than 300 miles from home… I just couldn’t find an excuse to get there. The I had been was to have a sandwich (two actually) during Rodney’s “In Exile” tour when their smokehouse burnt down in late 2013. 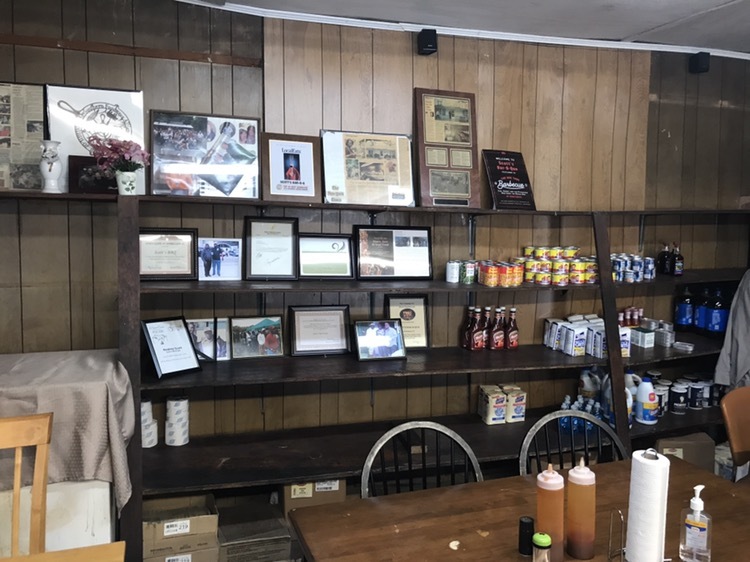 For years, everyone has been raving about Rodney Scott’s barbecue. It’s been on every “best of” list I have seen in the last decade. Sean Brock, one of the best chefs in the South says Scott’s is his “favorite place to eat in the world”. 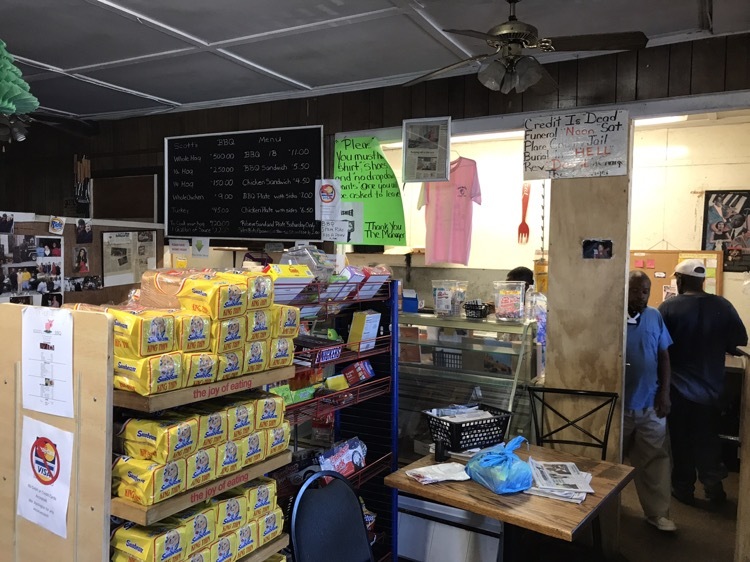 We walked in the front door, behind a man and his son who had driven up for lunch, from Statesboro, GA – after seeing them featured on Anthony Bourdain. Scott’s started serving barbecue in 1972, smoking whole hogs one day a week. Then it became two days, then three, now four. 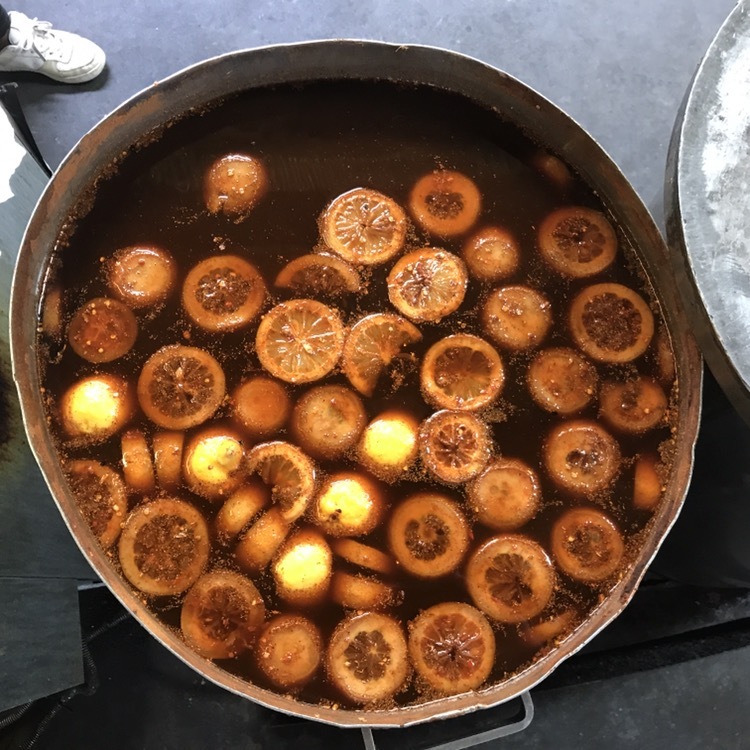 Few cook whole hog – it takes time, skill and the right facility. Rodney Scott, is the current pitmaster. His dad ran the pit before and his mom was sitting behind the counter on this day. According to several articles, Rodney smoked his first whole hog when he was eleven. 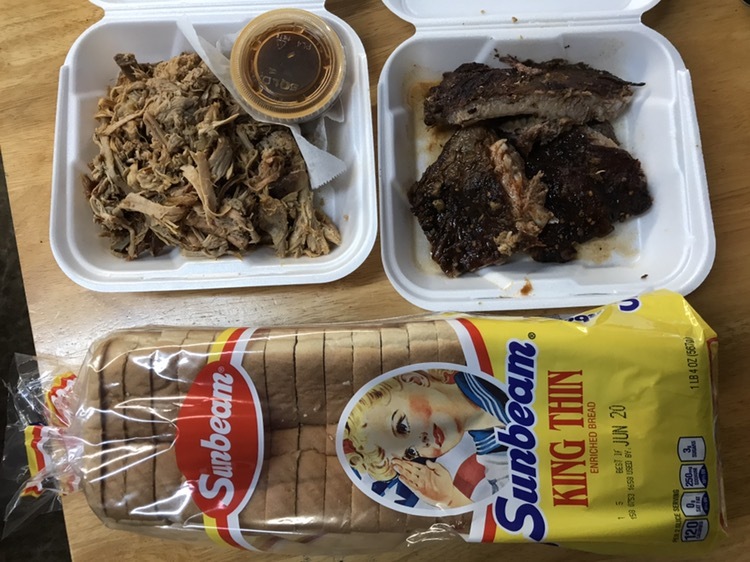 Remembering that we had a cooler in the trunk, we ordered a pound of pulled pork, a half pound of ribs and picked up a loaf of Sun Beam white bread. 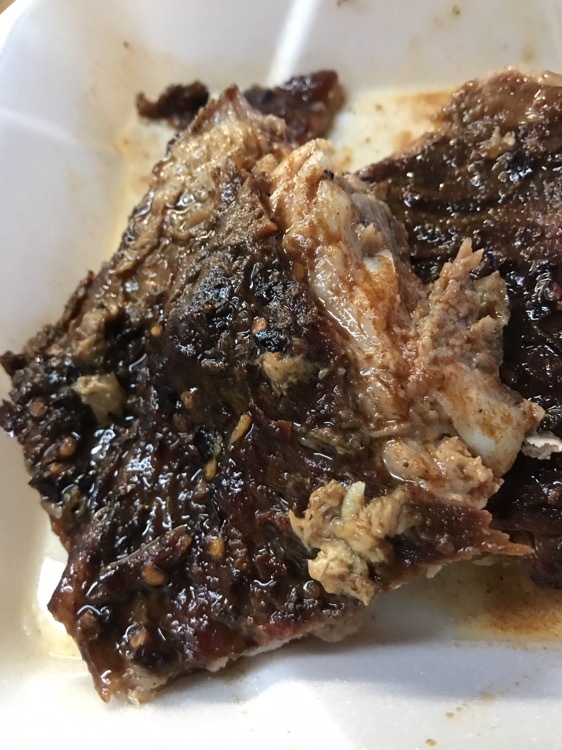 The barbecue had plenty of pepper flakes and was in long strips, with plenty of bark. And look at that bark on the ribs. The sauce was thin, spicy and perfect. The only thing we missed was fresh cracklings – they were out. As we left, we stopped to peek in the smokehouse. 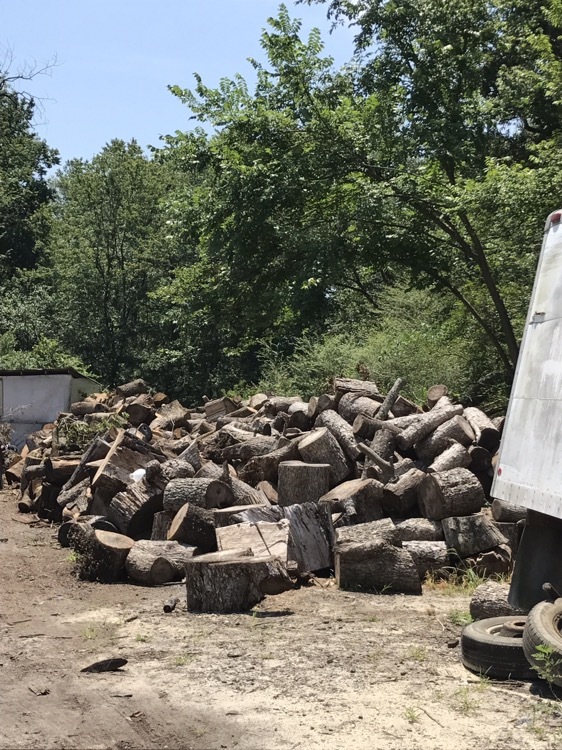 Just behind that truck in the picture above is the split wood that goes in that smoker. We walked up the door and peeked inside. The young lady stirring sauce (second photo down) told us we could come inside (as they were done for the day. I jumped at the chance. 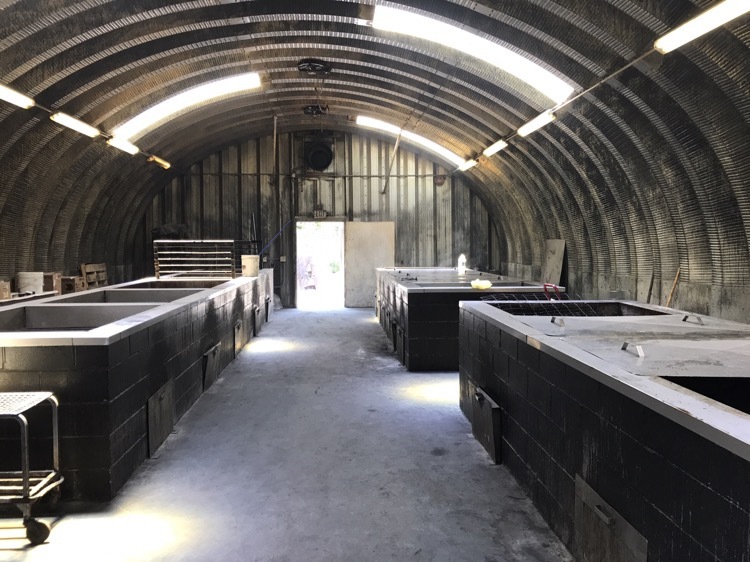 There are enough pits here to smoke fourteen whole hogs. Fourteen whole hogs. 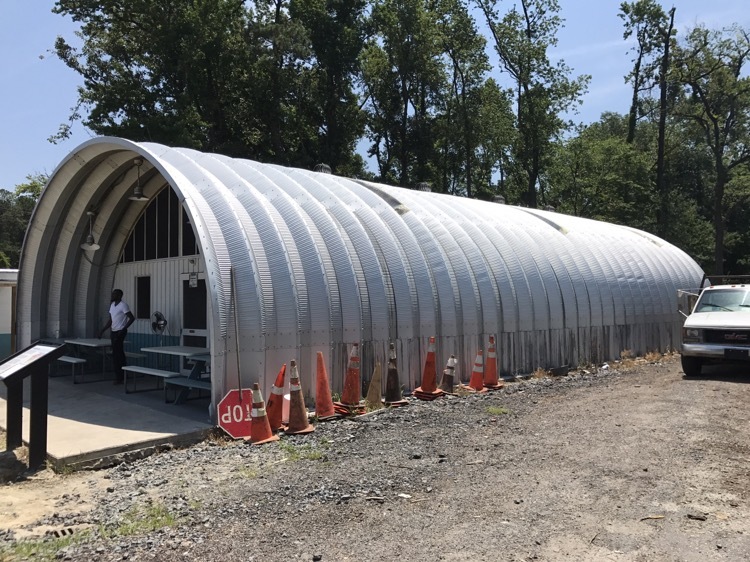 They start cooking at five pm for the next day and she said that the number they cooked came from the pitmaster’s estimate. On our Wednesday, they had smoked three. They would have fourteen going, for a couple of days, for the 4th of July holiday coming up. And here’s a twenty gallon pail of sauce, simmering, in its final stages. We drove back down country roads, with the windows down and Merle Haggard singing about life, love and mama trying. To top the day off, we ate barbecue pork and pimiento cheese sandwiches on the beach that night. Pretty much a perfect day.